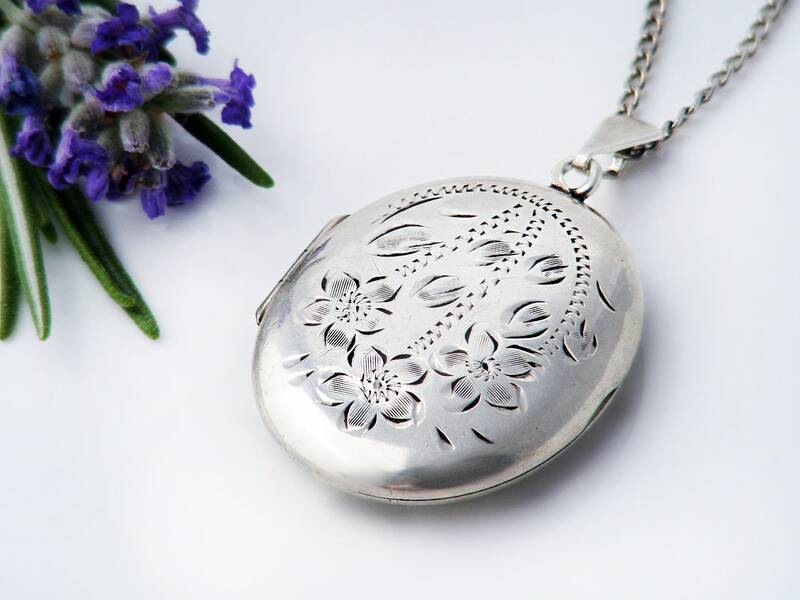 A vintage sterling silver locket with a pretty design of Forget-Me-Not flowers to the front. 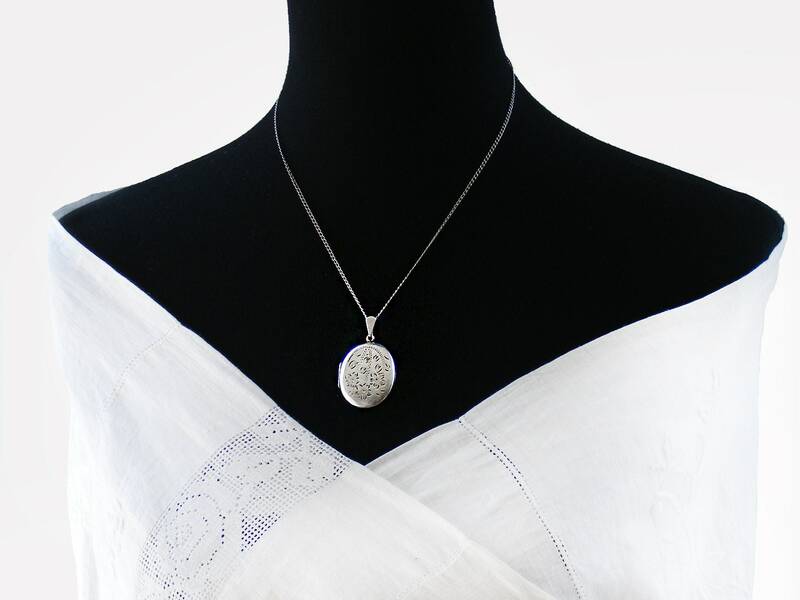 This is a very nice quality piece, smooth, well weighted and lovely to handle. Sterling silver with full hallmarks to the back for the Assay Office of the City of Birmingham England and the year 1975. 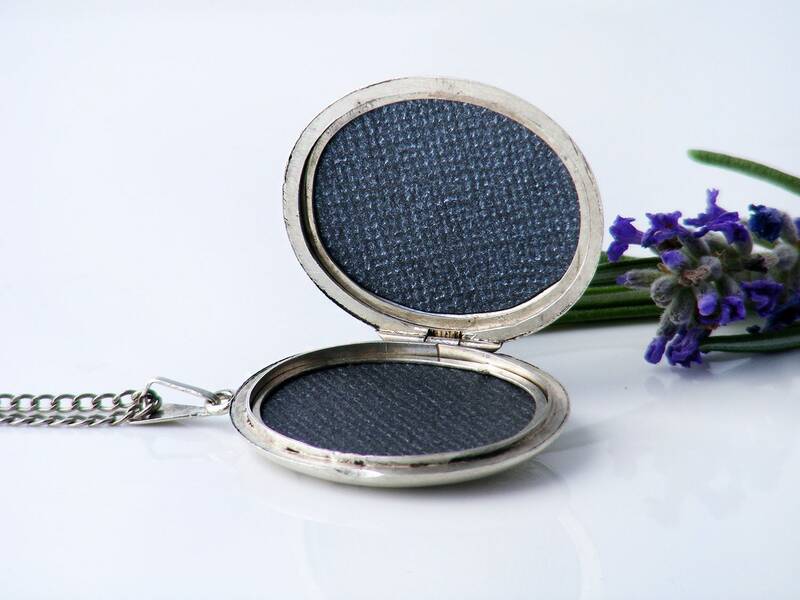 The locket has two retainer rims for images with new backing cards in place. The back is smooth and highly polished. 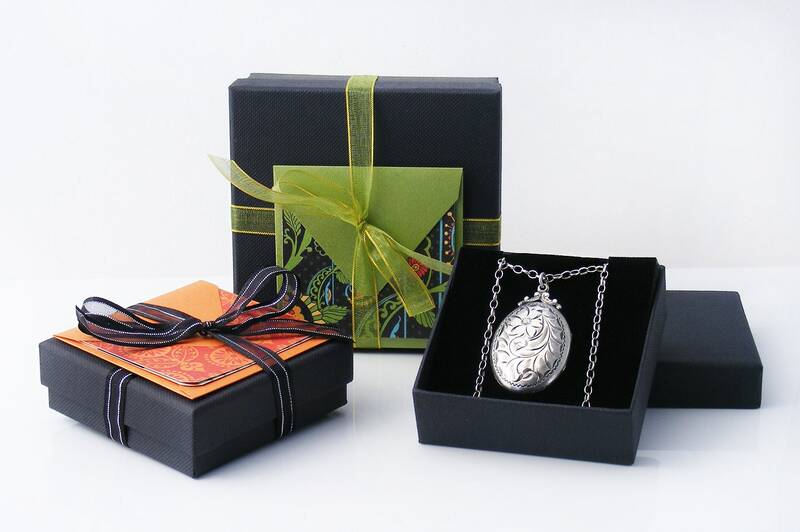 A medium sized locket, 1.1 x 1.33 inches (28 x 34mm) and gently rounding out to approximately 7mm in thickness. 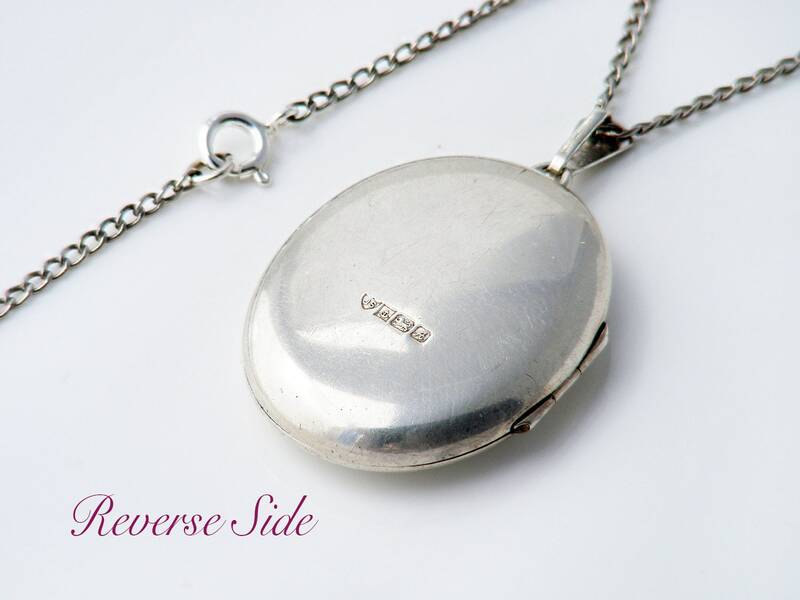 Vintage, found with the locket and stamped '925' to the clasp, the chain is 18 inches or 45.8cm long. Photograph #3 shows the locket and chain on a life size torso. Age: 1975 - 44 years of age. Condition: Very good. No issues to report. Closes tightly with a nice snap and leaves no gaps. Please Note: any darker patches are simply camera reflections. 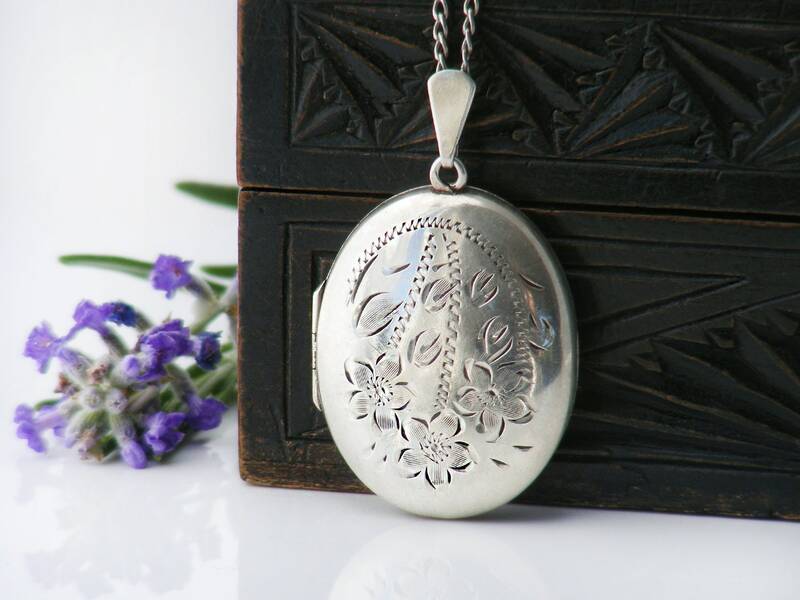 A classic English seventies locket, always in demand for their quality and pretty engraving.